Okay, so you have your training schedule, your workout split, and your exercises ready to go. Now you need to determine how much weight you should lift. Should you lift ‘light’ weights for high reps? Or should you lift heavy weight for lower reps? Today, we will go over how much weight you should lift depending on your goals, and why it should change over time. Welcome to the fifth installment of the WCT Workout Routine Basics, where we cover the most fundamental questions of working out. In Part 2, The 3 Best Workout Splits Of All Time, we go over how to structure your workouts and give you examples of a few templates. In Part 3, Free Weights Vs Machines we cover the pros and cons of the two types of weights and help you determine which you should use in your training. In Part 4, Barbells Vs Dumbbells, we provide a comprehensive guide on how to use both types of free weights in your training. I highly encourage that you check those out first if you haven’t already done so. Alright, let’s get to the answers. This is a very popular question. The amount of weight you should lift should coincide with your goals. If your goal is to build strength, then your weights should be heavy enough that you can only perform 4-6 repetitions per set. If your goal is to build muscular size, then you should only be able to perform 7-12 repetitions per set. If your goal is to improve muscular endurance, then 12-15+ reps per set is best. It is absolutely critical that you always lift weights with proper form. The heavier the weights get, the more you need to focus on good technique. 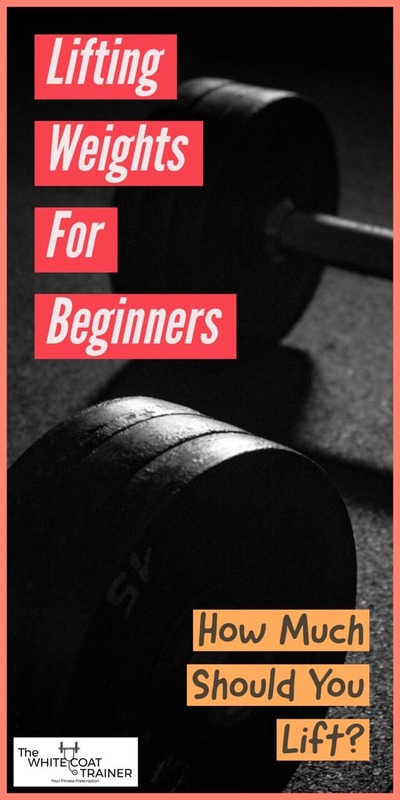 If you are a beginner, it is in your best interest to not begin with the heaviest weights that you can find. This just proves to everyone that you are a rookie. The empty barbell is a good place to start! How Much Weight Should I Lift With Dumbbells? Just like with barbells, it is ideal to start very light. Start off with just 10 lbs dumbbells, even if its easy. This is important ingrain good technique. As a beginner, it is always better to leave something in the tank then to go all out and potentially injure yourself. If your goal is to build appreciable muscle mass, then you must train for both muscular strength and muscular hypertrophy. The less experience you have, the more you should focus on lifting ‘lighter’ weights for more repetitions to ensure that you have proper technique. But don’t misinterpret this. By light, I mean weights that you can ONLY get 7-12 reps per set with proper technique. Over time, you should add more weight to the exercises. This is known as progressive overload, one of the fundamental principles of building muscle, which we discuss at length in How To Build Muscle Naturally. Once you have trained in the 7-12 rep range for ~8-12 weeks, then you should increase the weight further and train in the 4-6 rep range. The 4-6 rep range will continue to help build size, but also strength. You should train in the 4-6 rep range for ~4-8 weeks. Why train in the 4-6 rep range? Because strength can help you gain more muscle mass. Once you increase your strength, you will notice that you will be able to lift heavier weights in the 7-12 rep range compared to when you started, which puts you at a higher baseline. Gaining muscle mass will require you to learn proper technique in the major functional exercises. Begin by training in the 7-12 rep range for 2-3 months, and use progressive overloading to increase the weight over time. After 2-3 months of training, incorporate a strength block, where you train in the 4-6 rep range for 1-2 months. Do Different Exercises Respond Better To Heavy Weights? In general, compound exercises respond best to ‘heavy’ weight; sets that you can only perform 4-6 repetitions on. In contrast, isolation exercises respond better to ‘lighter’ weight or sets in which you can only perform 7-12 repetitions. Compound exercises train multiple muscle groups at once. As a result, you can recruit many more muscle fibers to help lift the weight. This is why programs such as 5×5 are so popular. You focus primarily on compound exercises and only perform 5 repetitions per set. This training style builds a lot of strength and promotes muscle development. In addition, compound exercises are extremely versatile. You can use them for any rep range, including the 12-15 rep range, the 7-12, and even the 1-3 rep range. On the other hand, isolation exercises are meant to develop a single muscle group, and respond better to more reps per set. The most common isolation exercise performed across the world is the bicep curl. Everyone seems to be fascinated with arms for some reason. Isolated muscle groups are pretty weak by themselves, and therefore you will not be able to lift as much weight as you could if you use multiple muscle groups. A good rule of thumb is to stick to 7-12 and 4-6 reps per set for your compound exercises, and 7-12 reps per set for isolation exercises. What About Weight Loss? 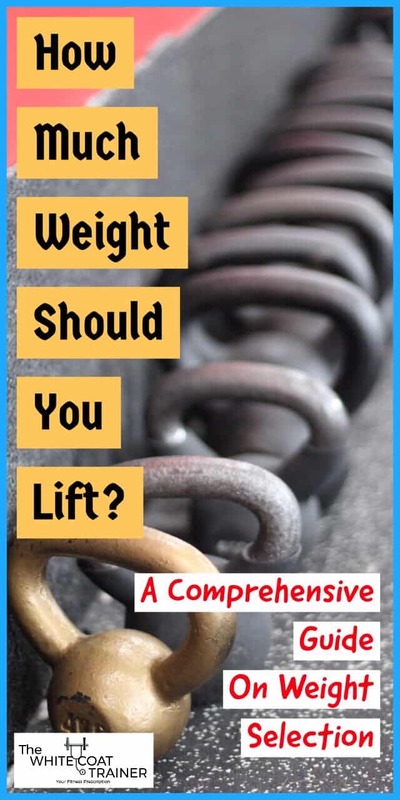 How Much Weight Should I Lift To Lose Weight? If your goal is to lose weight, then you should still focus on lifting weights heavy enough to build muscle, and weights heavy enough to build strength. By increasing your lean muscle mass percentage, you will increase your body’s fat burning capabilities. It is also important to add High Intensity Interval Training to your exercise tool belt. HIIT forces you to do a lot of repetitions in a short amount of time, which increases your aerobic capacity while simultaneously helping you to burn more calories. You can exercise all you want, but you also need to address your nutrition. This is non-negotiable. If you continue to eat a surplus of low quality food, then you will never lose weight, no matter how much weight you choose to lift. Exercise is only one small piece of the puzzle. Your diet is by far the largest piece. Don’t worry, we have an entire series on improving your diet for weight loss, starting with Any Diet To Lose Weight Must Follow This 1 Rule. How Much Weight Should I Lift To Tone? 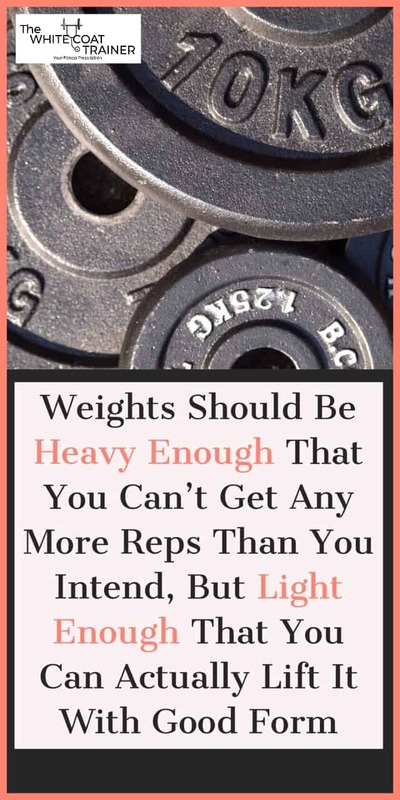 There is a common misconception that in order to tone, you must lift “light weights” for high reps. Sure, this will cause a lot of muscular ‘burn’ but it is doing very little to help you tone up. High repetitions only serve to build aerobic and muscular endurance. If you want to be the next Lance Armstrong, then you should use high rep sets. If you want to tone up, then you should make your muscles more defined, and drop your body fat percentage. This has nothing to do with how much burn you get during your workout, but it has everything to do with how much muscle you can develop. First, you need to focus on building some muscular size using 7-12 repetitions per set, and sparingly using a strength cycle (4-6 repetitions per set). The majority of your training should be done in the 7-12 range. Then, drop your body fat percentage by consuming more water and cutting out processed junk from your diet. This includes soda, juice, sugary foods, white bread, you get the idea. Lastly, keep your metabolism strong by keeping your body in motion. The easiest way is to walk, walk again, and then walk some more. Dropping your body fat percentage is a lot like training for weight loss. It is in your best interest to develop as much muscle as you can while cleaning up your diet to shed fat. How Much Weight Should A Woman Lift? A big misconception in the fitness world is that women should lift light weights. I know you’ve seen those little pink or purple dumbbells that only weigh 1 or 2 lbs each. This gives off the impression that women should be lifting weights that are cute and little. To all the women reading this; you can and should incorporate heavy resistance training into your fitness regimen. This is especially true for women who are entering menopause, as your risk of developing osteoporosis and suffering fractures increase. Just like men, women should lift weights heavy enough to perform just 7-12 repetition per set when developing muscle, and 4-6 reps per set when developing strength. You don’t want to get bulky. Saying you don’t want to get bulky so you avoid lifting weights is like saying you don’t want to get recruited to the NBA so you avoid playing basketball. In general, women don’t have high enough levels of testosterone to get bulky. ‘Bulky’ women train for a living, and are doing everything they can to get bulky. Just take a look at Brittany. She can squat >200 lbs and deadlift >300 lbs and she is not bulky. How Much Weight Should I Be Able To Lift For My Age? Regardless of your size or your age, there are a few benchmarks that we believe everyone should be able to accomplish. First of all, you should be able to accomplish at least 25 pushups, at least 8 pullups, and hold a plank for at least 45 seconds. Second of all, you should be able to lift a certain amount of weight on The Big 4– the squat, the bench press, the deadlift, and the overhead press. We have written an entire post on How Strong Should I Be? Realistic Strength Standards For Busy Professionals. Check it out and let us know how you stack up, and where you need improvements. The amount of weight on the bar (or dumbbell) will always be inversely proportional to the number of repetitions you can perform on the exercise. For example, you may be able to do 135 lbs for 12 reps, 10 reps on 155 lbs, 8 on 175, 6 on 185, and so on and so forth. The most important thing is to ensure that you are lifting with good form and changing up the rep scheme that you are using from time to time. If you are a beginner, stick to the higher rep sets first, and progressively overload each exercise as time goes on with more weight. Compound exercises respond best to all rep ranges (12-15+, 7-12, 4-6, and 1-3), and build great strength in the 4-6 rep range and less. Isolation exercises respond better to higher rep sets such as 7-12 reps.
Once you are comfortable with an exercise, always use weights heavy enough to perform the desired rep range with moderate difficulty. I.e, you should not be able to easily get 13 reps if your goal is 7-12. PS. 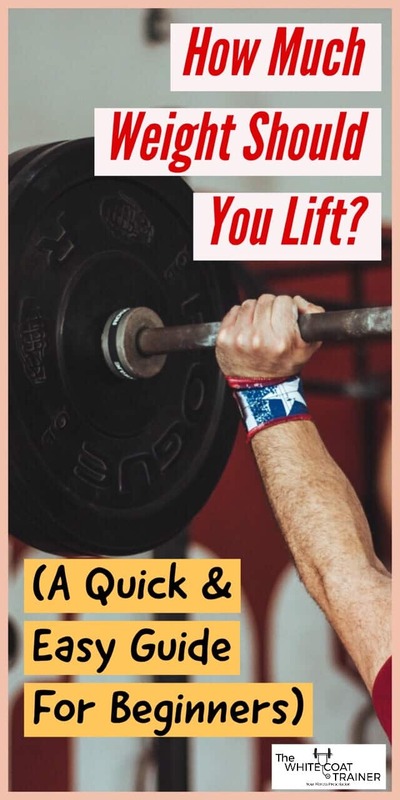 If you would like to check out an easy to follow template that tells you how much weight you should lift, on which exercises, and how often, then be sure to check out The WCT Strength Program For Busy Individuals. 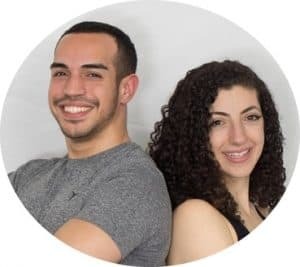 It is a 15 week program that is tailored to the busy individual who has little time to exercise, but wants to start a comprehensive workout routine. The workouts are designed to be done in 35 minutes or less! Well, that’s all we have for you. Have you been lifting appropriately heavy weights in your training? Are your sets moderately difficult? Or are they pretty easy? Do you want to bulk, tone or lose weight? Be sure to check out the next post in our series of Basic Workout Routines where we discuss rest times and warm up sets. Don’t forget to share this article if you found it useful! Join our community to keep getting articles like this one, and when you do, you’ll receive a copy of our The White Coat Trainer Workout Template! What supplements if perferd to gain the most mass as possible.. I’ve been doing 10-12 reps and dropping to 4-6 bi monthly seems to be doing well but its like my workout is too easy? Is there anyway to get an advanced plan or guide? I look forward to a reply. Hi Joe,Thanks for your comment. I would actually recommend that you not rely on supplements, and focus on consuming as many nutrient dense foods as possible. If you really want to use supplements, a simple protein powder with minimal ingredients will suffice. It’s great that you are varying your rep ranges. The workouts shouldn’t feel too easy. They should be tough but manageable. This is likely due to the weights not being heavy enough in your workout. If you are comfortable with the desired exercises, then use weights that are heavy enough that you can only perform the desired 4-6 reps. The key is to progressively overload all of these exercises with time. I will definitely create an advanced plan as some point. In the mean time, check out The Best Workout Template Article that we have written.